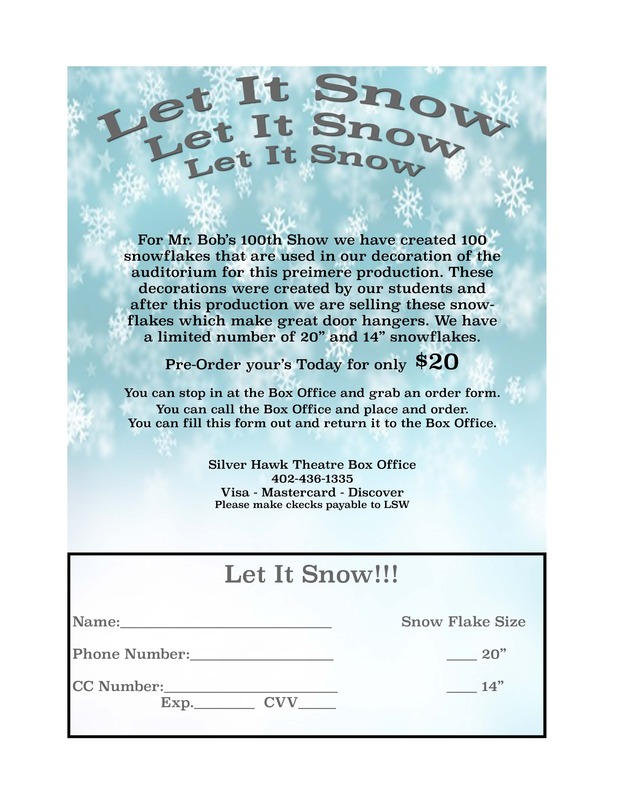 Silver Hawk Theatre Christmas Spectacular will be Bob Henrichs' 100th Theatre Production that he has directed! The cast and crew will be made up of current LSW Students, LSW alumni, and anyone who has been in the cast/crew in one of Mr. Bob’s 100 Shows. 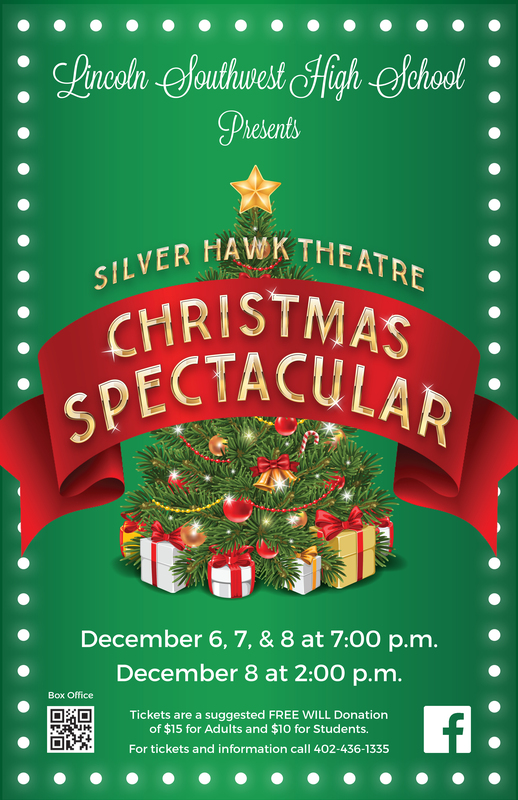 This production will be a musical holiday stage show that combines singing, dancing, and humor with traditional scenes. Santa and Mrs. Claus will lead us through preparations for the big day by reading letters from kids around the country which lead us into amazing musical theatre production numbers with elves in the workshop, dancing toy soldiers, a tribute to snow, an excerpt from The Nutcracker Ballet, dancing reindeers, and ends with a living nativity scene complete with wise men, angels, and live animals! There will also be a live chorus onstage singing along throughout the show! December 6, 7, 8, 2018 at 7:00 P.M.
December 8, 2018 at 2:00 P.M. SPECTACULAR go on sale Tuesday, November 6! Call the Box Office at 402-436-1335 to secure your reservation. AUDITION MATERIALS for the Cast and Crew for the spring musical, MY FAIR LADY, will be available on Dec. 17 at the Box Office. Students will need to bring $1 to cover the cost of duplication for the audition packet for Cast. This is then theirs to keep and bring the audition rehearsals with Mrs. Cotton and to the audition itself. CREW FORMS will also be available and need to be returned by the 2nd night of auditions at 6:00 p.m. to be considered for this production. Auditions will be held Monday, January 21 & Tuesday, January 22 at 6:00 p.m. in the auditorium. Students need to attend only ONE audition session. Auditions are CLOSED - only the student auditioning needs to attend.